﻿ Cyprus Mobile Applications, Blog, The best free iPad Apps! 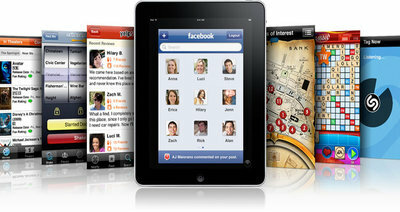 They are the most downloaded iPad Apps and they will introduce you to a whole new way of using your iPad. They are free, easy and very very useful! Fun and easy, you will love its interface! It’s a must – have if you wish to keep in touch with your friends! One of the most popular browsers is now the most popular in mobile devices too. This clean, modern and user friendly app is an absolutely must have! Paper was the winner of “App of the Year 2012” for a very good reason; It can boost your creativity by allowing you to jot down sketches, drawings, notes, illustrations and diagrams! Ted talks, the most inspiring videos from all over the world, are now fully accessed through this app. The world’s most brilliant minds will keep you company online and offline! This is one of the most downloaded apps in the App Store! Weather news, amazing HD images, push alerts and constantly updated forecasts! The “Best Mobile Photo App of 2012” is truly the best photo app among the numerous photo apps you will encounter. Edit, share and adjust your photos like a pro in no time! Google Reader’s successor is easy, fast and very handy! Through Feedly you may use RSS feeds to read, browse, save and share content from all around the web!